Michigan’s largest city is still losing people, but at a much slower rate than in the past, according to the latest yearly data from the U.S. Census Bureau. Some thought 2017 would be the year Detroit finally reversed its decades-long population bleed. But apparently, that didn’t happen. 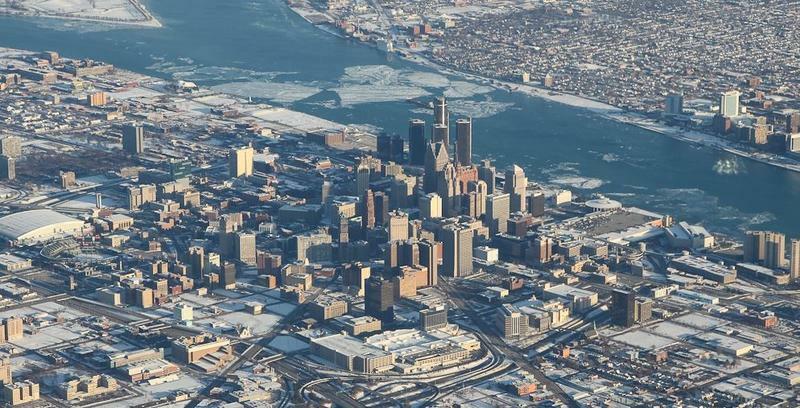 Detroit’s population was down again from 2016, just slightly, to an estimate 673,104 people. Still, what was once a flood of population loss over more than five decades has now slowed to a trickle. That’s less than a 1% drop from 2016, when the estimate put Detroit’s population at around 675,000. Some demographic experts caution against taking too much away from annual population estimates, saying we won’t know the whole story until after the next full census takes place in 2020. Some Detroit suburbs did post gains, especially at the edges of the metro area, in places like Canton Township and Macomb Township. Elsewhere in the state, Grand Rapids grew more 1% from 2016 to 2017, as did Lansing. Those cities’ population estimates now stand at 198,829 and 116,986, respectively. Overall, Michigan continued a slow growth pattern. The latest estimate puts the total number of Michigan residents at 9,962,311. 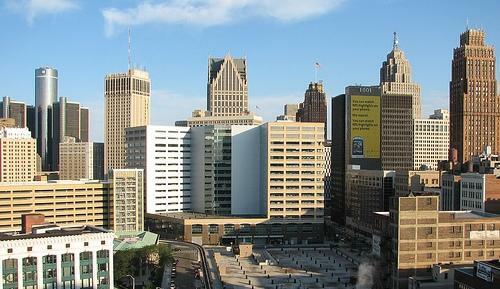 The city of Detroit has been losing population for decades, but that could soon change. Southeast Michigan is expected to gain approximately 380,000 households by 2040, according to a new report from the Urban Institute. 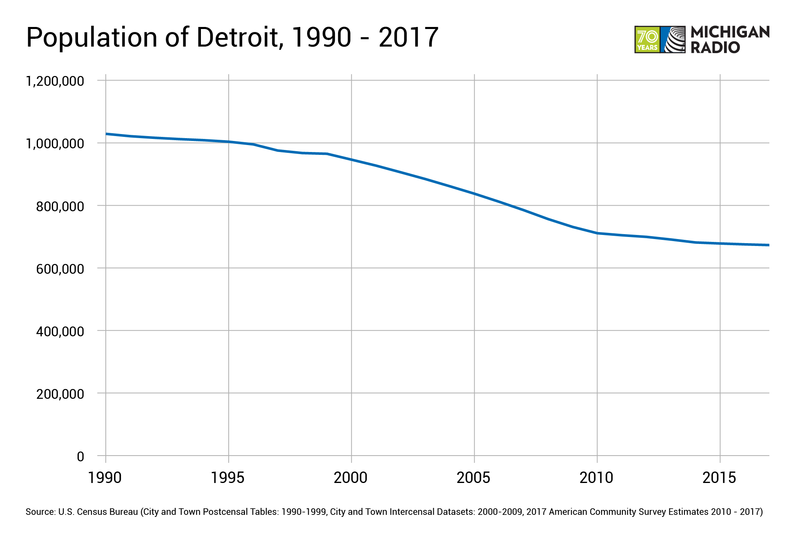 New numbers from the U.S. Census Bureau show Detroit hasn’t quite yet reversed decades of population loss, but it seems to be getting close. The Census has Detroit down another 3,541 residents in mid-2016 from the same time a year before. That leaves a total population of 672,795. That’s a very small drop compared what the city has seen in the past. Still, many people had hoped this would be the year Detroit finally showed some gains. Gov. Rick Snyder this week signed off on a set of bills he hopes will help lure some big employers to Michigan. 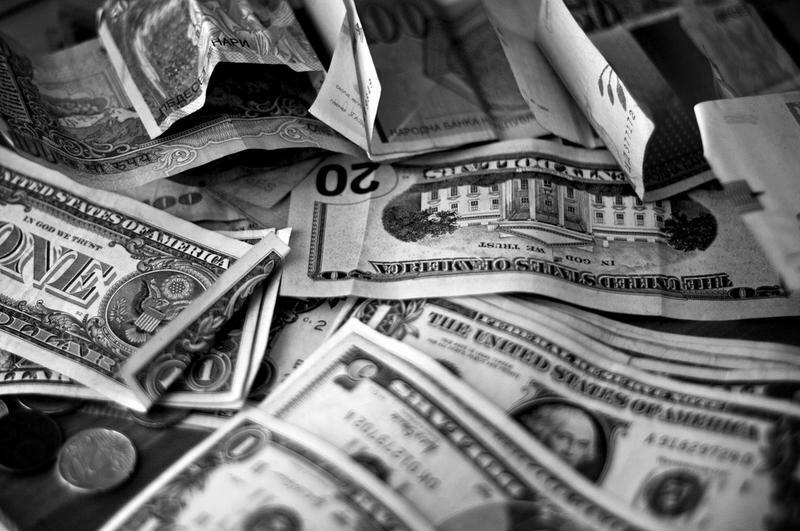 The new law lets employers that meet certain criteria keep some or all of their employees' state income tax.